actually this is a take on carrot juice. 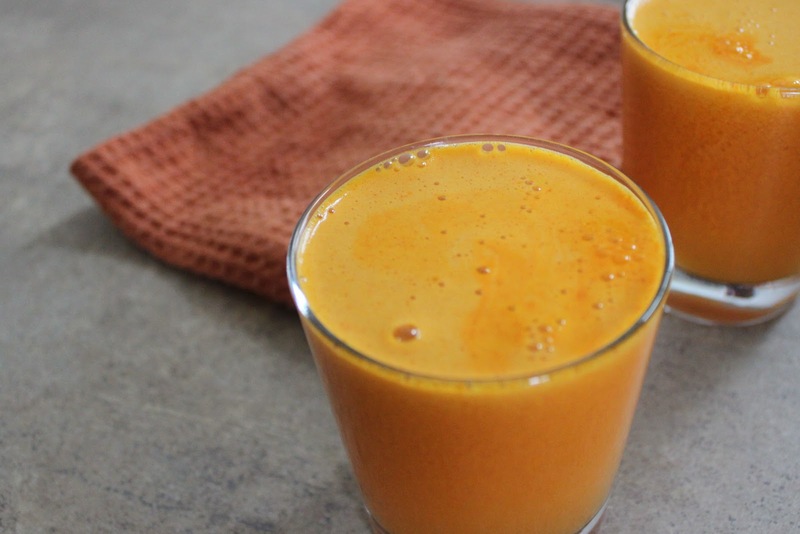 the more accurate name is: carrot-apple-ginger juice. and man- is it good. it's my favorite way to start the morning these days. we've gotten in the habit of making a few pitchers of juice in the evening so we can grab-'n-go on those hectic mornings. this is one we made last night. wash all ingredients thoroughly. once chopped and machine is on,* slowly add all ingredients into the juicer. pour into cups and enjoy immediately or keep in fridge for up to 2 days. i tend to use organic & local fruits and veggies as much as possible. in my one week of juicing i've found, the fresher the produce, the juicer it is. also, i prefer my juice a bit on the tangier side so if you like sweeter juice, use apples such as gala, fuji or red delicious. *at least this is how our machine works.